Josh Horwitz has plenty of reasons to be a sad panda these days, but his latest tirade about how the NRA is just another part of the vast right-wing conspiracy takes the cake. I’ve been a pretty outspoken about NRA not inbreeding with the D.C. right-wing establishment, and staying true to it’s mission. 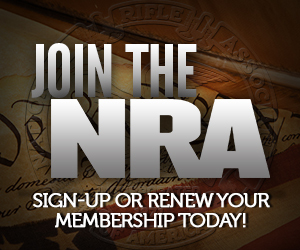 NRA should be as welcoming to liberal gun owners as it is to conservative ones, and indeed, I believe many of the advances we’ve seen on the social front lately is because lefty gun owners are willing to come out of the closet in greater numbers. David Keene comes from the conservative D.C. establishment, and presents opportunity to our opponents to smear NRA as part of the VRWC because of his former role with ACU, which puts on CPAC. The take they are trying to weave, is pretty thin, however. Horwitz’s rant is ludicrous, even given Keene’s background. Among the accessions are that Keene moderated a CPAC panel, which had an author on it, who wrote a book which wasn’t completely about the Second Amendment. He then proceeds to go after Keene for being “giddy” about the Wisconsin recall election results. Considering Walker was carrying an NRA endorsement, and signed Concealed Carry and Castle Doctrine in Wisconsin, I’d hardly call that surprising or stepping outside of his role as NRA President. It’s funny how they didn’t mention that Keene, in his former role as ACU President, was advocating for inclusion of gay conservative groups into CPAC, standing against the family groups who spoke against it, and who eventually won out once his presidency was over. Keene is someone I’m happy to have on my side in an issue, and I’m happy he’s NRA President. He doesn’t fit a lot of the stereotypical molds of people in the right-of-center establishment in D.C. There is a more general risk, however, with this kind of mixing of issues, and dilution of NRA’s core mission with other right-wing causes. I’ve always been a bit uncomfortable with NRA’s participation in CPAC for that reason. But there’s a good argument to be made that such participation, if it is the evil I think it, is a necessary one. In order for any organization to be successful, it has to attract a following, which means marketing itself, and marketing is pretty much what CPAC is about. More importantly, for NRA, it’s marketing to young people, which NRA desperately needs outlets for. The question is whether NRA can long mingle with the right-of-center DC establishment without being wholly consumed by it. You Can Take Your CPAC and Shove It! I guess I should be happy that the Second Amendment Foundation isn’t on Josh’s radar. Alan Gottlieb is a member of the ACU’s Board of Directors and has been for a number of years. Whenever they mention Gottlieb, they re-enforce he’s a ‘felon’ w/o actually discussing what the ‘crime’ was. But then the legislative and litigative successes he’s had w/ the SAF makes them look even sillier. My guess is Ladd got a whole bunch of new writing ideas from his recent adventure at the ‘Netroots Nation’ workshops and we’ll be seeing a lot more VRWC pieces from him. You are making the mistake of evaluating Joshie’s statements from your frame of reference. In order to understand what he’s saying, you have to first try to see things from his point of view. Now I don’t want to hear any complaints that you can’t fit your head that far up your backside. Josh is not anti-gun. Josh is a Leftist. He explained in his book that the problem with guns and people who have them is not that they can kill people. It’s that what he labels the “insurrectionist” ideal is opposed politically to his Leftist goals. Honestly, I don’t think Josh cares about how many people get killed. He’d prefer that they were political enemies instead of what he hopes would have been political allies. In Josh’s mind, he and people like him are so smart that they should be allowed to run the world. To them, our concept of the right to do as we please is outdated. The only thing worse than us saying that we don’t want to do what he says is having the means to resist doing what he says. That’s the problem with guns. Having a gun fosters the belief that you can argue successfully with oppressive authority. Josh agrees wholeheartedly with Maj. Caudil Marko Kloos that the gun is civilization. He recognizes intuitively that there are two ways to get a person to do what you want, force and persuasion. He further recognizes that no matter what he says, some people will tell him to step off. He opposes guns because he knows that once people don’t have personal arms, he will not have to try to pursuade any more. He can just go ahead and force us. The gun is just a tool. It is a tool that prevents him and people like him from forcing us to do what he says. He opposes those tools not because he doesn’t like them, but because without them we will have to do what he says. He’s not anti-gun, he’s anti-freedom. Let’s laugh at Horwitz now, while making a special note to ourselves to make extra sure he stays wrong in the future. Honestly, I don’t think Josh cares about how many people get killed. I think he cares very much. I think he wants all of us dead, fantasizes about it on a regular basis, and is actively moving to promote that goal. Frankly, knowing the nature of the Left, I think this would be more likely to sway them back to anti-gun activism than the usual phony anti-gun pseudo-statistics. Every Leftist is a Brett Kimberlin in the making. Well, “every” member of the New Left; I don’t think those remnants of the old Left, the one supplanted starting in 1968 or so, think that way. While our very president counts among his friends people who advocated that we be put in “reeducation” camps and those of us resistant be eliminated, positions I’m not aware of their recanting. The extremes of the New Left like the ones supporting Kimberlin (odds are he’s more a conman than a real Leftist) plus the “no enemies to the Left” rule that predates the above mentioned switch, which we can see is still in action, means we truly are in mortal peril from them and that we’d best not lose our power, political and otherwise.